Searching for elegance and comfort? 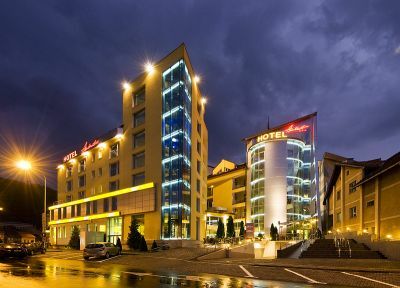 You’ll always find it if you visit Hotel Ambient, Brasov, already a tradition name, counting almost ten years of excellence and experience. 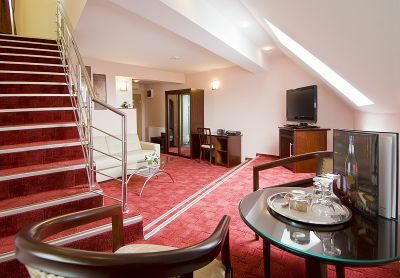 Ideally located in the center of Brasov, few minutes away from the historical monuments, famous bars and glamours shops, capable of offering a nice view of the entire city, Hotel Ambient is the reference of the luxury for the international customers. 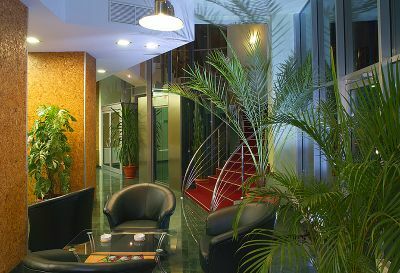 The 4 stars hotel satisfies the highest expectation that modern tourist might have. 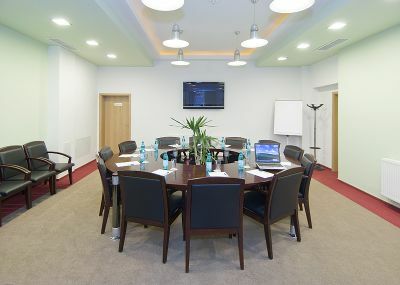 We expect our guests with 67 comfortable and large rooms with new and modern endowments. 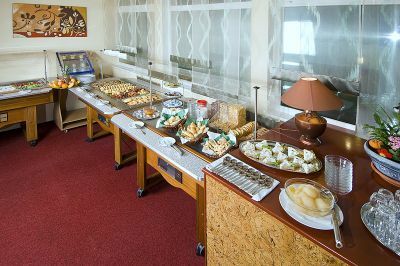 During your stay in our hotel you can enjoy such great amaneties as our buffet breakfast . 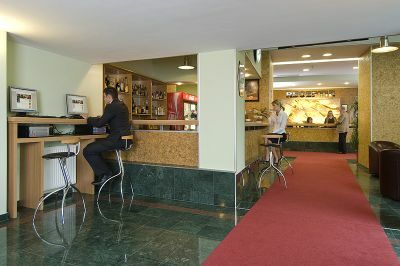 Internet is available via wireless connection in our lobby and public areas and also in our Restaurant and inside our guest rooms the internet is via ADSL high speed band. We also provide our guest with indoor and outdoor parking with 24hour security, express check in where our bellmen can tack your luggage up to your room so you can go out and enjoy your day or if you are in a hurry. We provide in rooms safes. 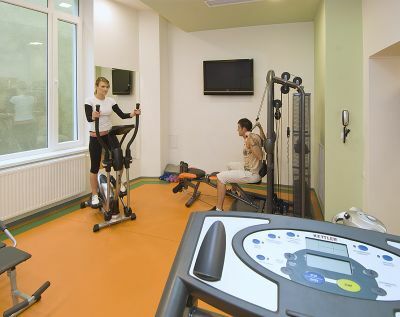 And after a long day try either one of our relaxation methods in our Ambient Spa: relaxing in the Jacuzzi or just laying down and spend the day in the sauna or you can work out or jog in our fitness center. Please make shore to schedule yourself to one of our famous relaxing massages. 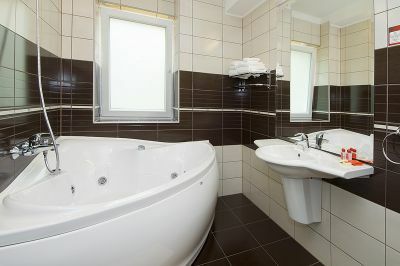 And all of these amenities are included in your room price. 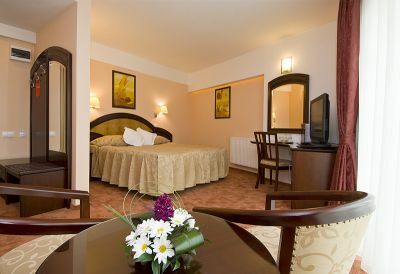 Whatever your choice, we ensure you will have a relaxing stay in our Hotel. 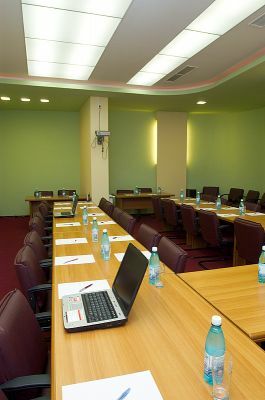 For business activities the hotel offers the services of three conference rooms with capacity of 15, 35 respectively 50 places fully equipped with performant systems. Absolute comfort, luxury down to the smallest details, perfect service, experience in hospitality and that inexplicable flavour of the extraordinary, that makes Ambient a special highclass hotel, which deserve it’s name.